In August 2017 our daughter, Audrey, was diagnosed with a rare form of childhood cancer called Burkitt's Lymphoma/Leukemia. Though she was stage IV at the time of diagnosis, she is now in remission and has happily returned to school and our "new normal" life. Audrey is nearly a year post-treatment now and we are grateful every single day. In 2018 Audrey's Anglerfish raised over $30,000!!! This year I know we can beat that number. And we have to because in 2018 we lost three kids we know to pediatric cancer. Three beautiful kids. 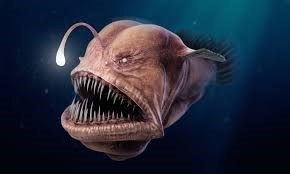 We've named our team in honor of Audrey's favorite animal---the anglerfish!-- a fierce creature who brightens up the darkest part of the ocean with their own bioluminescent lure in order to survive. The females are the scary looking ones with all the crazy teeth! We think this symbolic creature sums up our girl pretty well. Maybe that's why Audrey loves them so much? Or she just thinks they are creepy and cool. We hope to shine a little light in the darkness of pediatric cancer by raising money for research at Memorial Sloan Kettering Cancer Center where Audrey receives phenomenal care. We are so grateful for our incredible oncology team of doctors, nurse practitioners and nurses! We send love and light to all the families we have met at MSKCC this year...you are not alone. Shine your light and keep up the fight! Amy, Mick, Frank & Beans!